Magnet. A piece of iron (or an ore, alloy, or other material) that has its component atoms so ordered that the material exhibits properties of magnetism, such as attracting other iron-containing objects or aligning itself in an external magnetic field. Magnetism is essential for finding one’s direction with a compass. The magnetic poles of the Earth allow the needle of the compass to move. The magnetic north pole, actually the south pole on Earth, pushes the needle to point north. This allows man to navigate the globe rather accurately. Without that magnetic force, it would be impossible to know the exact direction to go (Even though there may be other instruments to help, like the sun, stars, and the way moss grows). For the most part, without an exact sense of direction from the aid of a compass, navigation would be much more difficult. Likewise, without the aid of the Holy Spirit illuminating the text of Scripture, man would have a hard time understanding the Bible as God’s revealed word. Paul has something to say on this matter. If man cannot interpret what God’s Word means or calls them to do there is no hope in navigating life. In fact, it is impossible to believe the Gospel without the Word of God (Rom. 10:17). What a mess man would be in without the moving of the Spirit when they approach Scripture. But, the Spirit and his Word are like a compass directing man to the true North, Jesus Christ. 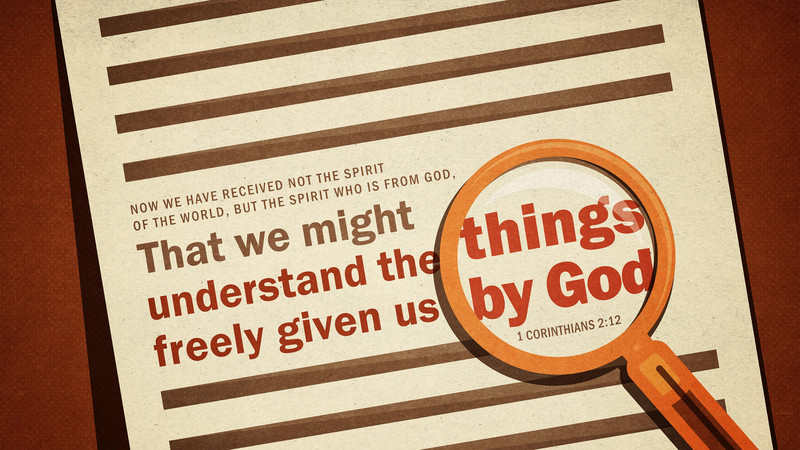 Praise be to our God and to our Lord Jesus Christ that the Spirit is able to help us in our inability to understand the Word by making known the things freely given to us by God in the revelation of himself. Great thoughts. God’s pull is much stronger than the devil’s, yet we often go off course.